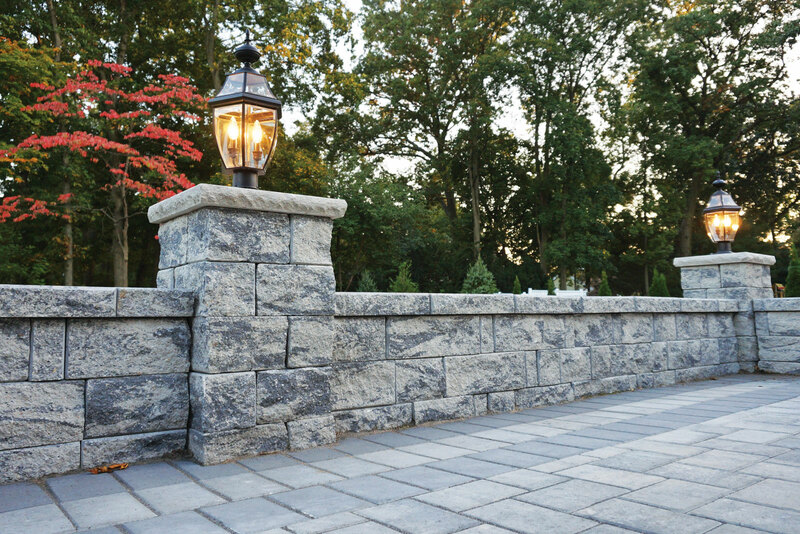 esigned with elegance in mind, the StoneVista™, while similar to our StoneLedge™ line, allows for amazing flexibility for DIY landscaping projects due to the unique random face pattern for creative designs. 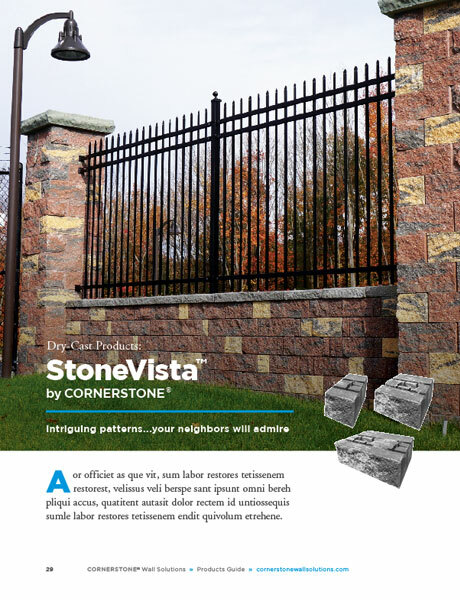 As a double-sided, multi-sized, tapered unit system, the StoneVista™ creates a random appearance, providing the unique beauty that can only be found in nature…until now! 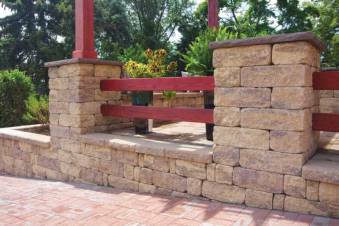 Perfect for pillars and free-standing walls, stairs, planters, terraced patios, and so much more, create a unique courtyard around your patio or even your entire property, at a lower cost, without sacrificing quality. 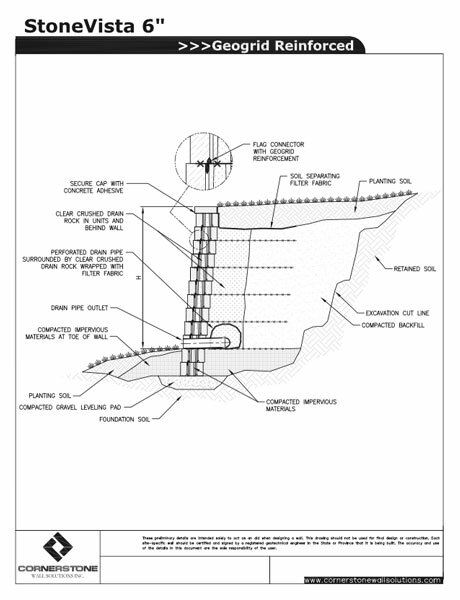 The unique hollow core design reduces efflorescence problems & costly pigments. 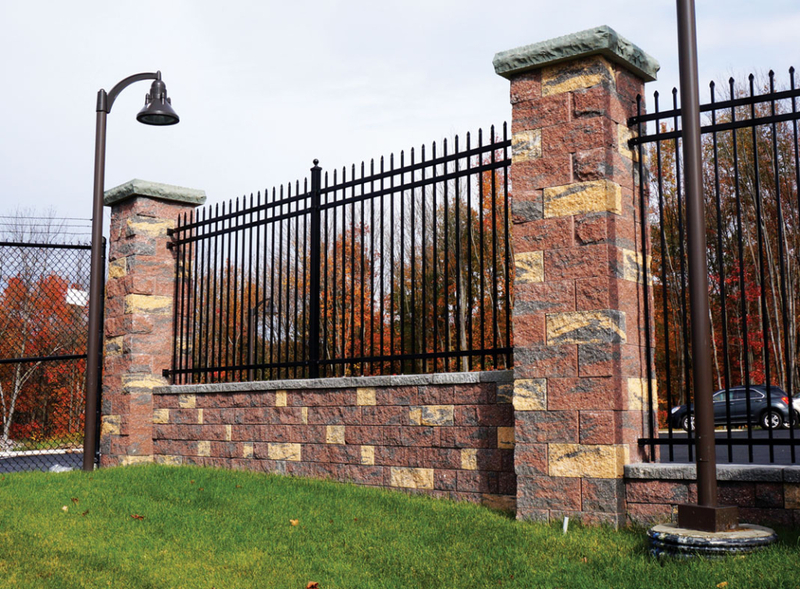 The system itself uses six different components (giving a multi-Ashlar look), ranging in weights from 20 – 58 lbs, allowing for minimal manpower and no special equipment to install the product. 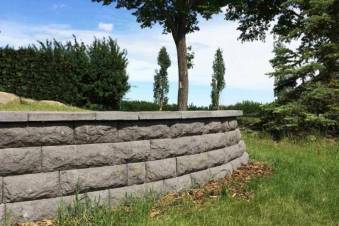 In addition, the three-sized StoneVista™ system, including its corners, are manufactured in one mold, insuring that each of your units has near perfect height tolerances. We’re about creating beautiful things simply, and that means ensuring that our natural surroundings are also cared for. With less concrete required for manufacturing, and more efficiency in transportation, we ensure that we leave a smaller carbon footprint. 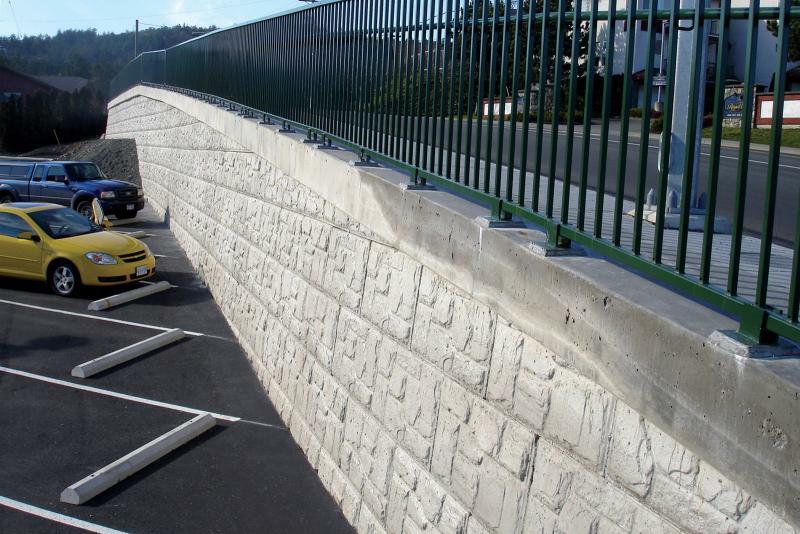 Our high compression, low-absorption concrete is perfect for ensuring durability and being weather resistance. The StoneVista™ units interconnect using unique, highly durable, polyethylene connectors that allow for significant lateral movement. 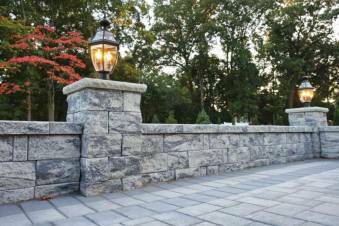 These connectors make StoneVista™ ideal for multi-battered and vertical wall construction. These dual positioned, easy to use, high strength connectors outperform other systems, significantly decreasing your installation time. 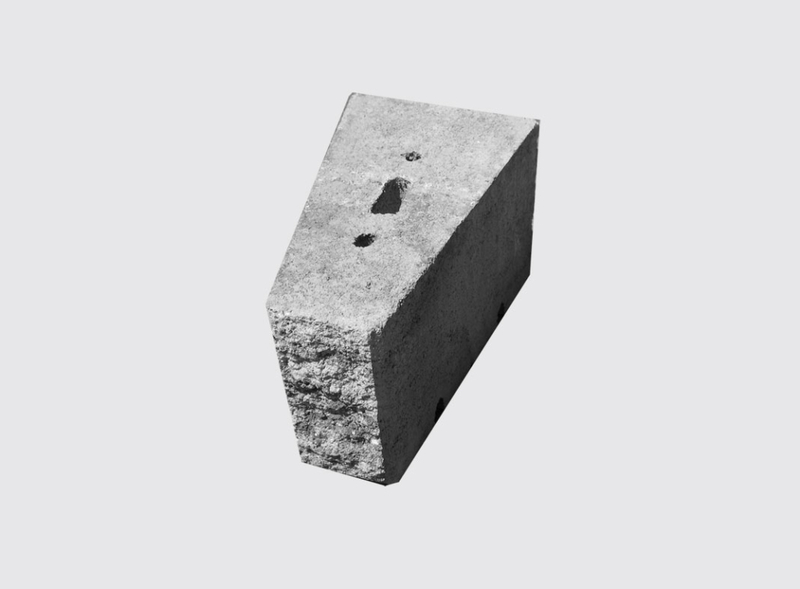 Using less concrete, costs significantly drop due to less weight (lowers freight & shipping costs), less required installers, lower development costs, without any loss in structural stability! 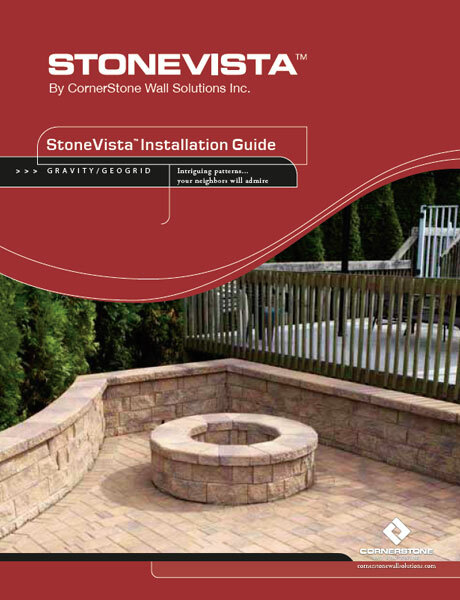 With the variety of colors available coupled with the hand finished look of quarried stone, StoneVista blends naturally with plantings, waterscapes, lighting and other landscape features, allowing you the creative freedom to design the living space of your dreams.